The bank holiday has whizzed by and somehow we're already back at work slaving away... to make it all worse, it's a long month, so it feels like years since we last had that payday buzz and scrimping and saving has well and truly set in! Whenever I have no money I constantly see beautiful, beautiful things... whenever I walk past a shop, flick through a magazine or browse a blog, there they are... beautiful, beautiful things... This month has been no different, so to make sure I don't forget my lust list and in an attempt to bring you down with me, I though I'd share my current collection of everything we all NEED in our life and wardrobe this summer! 1. 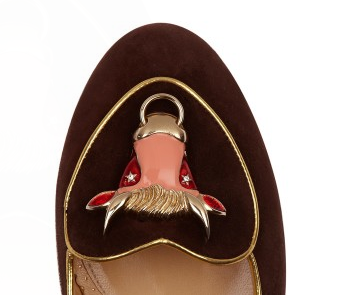 Charlotte Olympia's Cosmic Collection is a new capsule range of birthday shoes and clutches, representing each one of the zodiac signs. The shoes are cute little suede pumps each in a different colour for each sign, with a love heart front emblazoned with the relevant symbol. 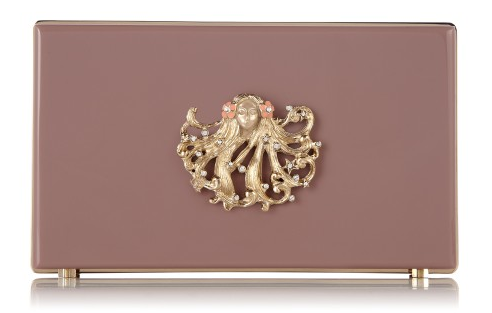 The other prong to this awesome little collection are the perspex box clutch. Got your zodiac pumps? How about snapping up the matching simple rectangular clutch with the your birth symbol on the front...classy yet super fun! What better Birthday present for your bestie? And if we're self gifting (why not?) it would definitely be rude not to snap up both! 2. 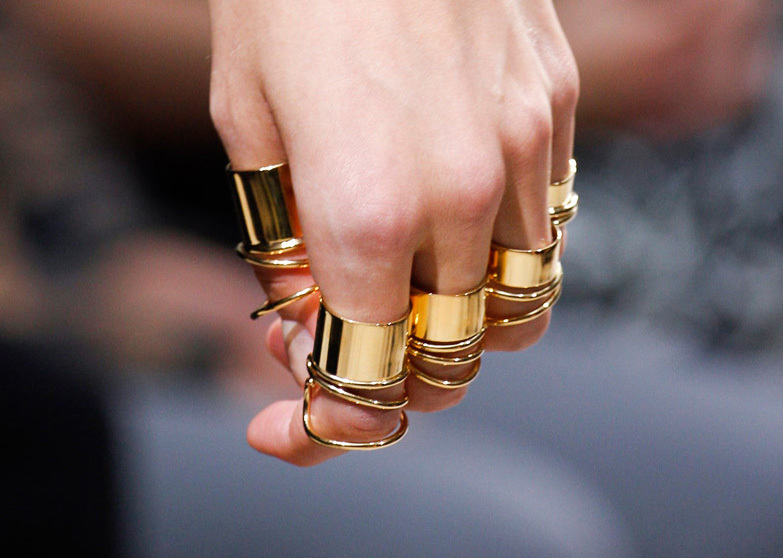 Balenciaga Knuckle Rings are my total heaven, worn on every finger creating a layered effect...chunky yet still pretty! I am head over heals in LOVE! I have scoured the Internet to see who sells these beauties online, but I think the only way for us to get our mitts on them is to purchase in a Balenciaga store, prices start from $245. 3. Topaz Prada Cat Eye Sunglasses, fabulously retro and ridiculously bling, there's nothing not to like about these babies! These quirky cat's eye shaped Prada sunglasses comes with a dusting of Topaz stones in both tortoise shell and black...my number one essential for Summer '13! 4. 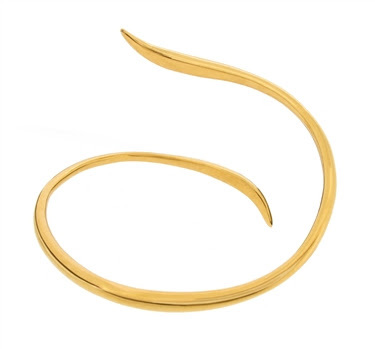 Dinny Hall 22k gold Vermeil Tusk Cuff, I love its simplicity and versatility - wear it loose and jangly as a wrist cuff or push it on up as upper arm adornment. I can imagine this looking beautiful against sun kissed skin with a floaty white summer dress but just as good with an edgier backdrop of ripped denim shorts and a simple vest! Another Summer essential...there are just TOO many! 5. 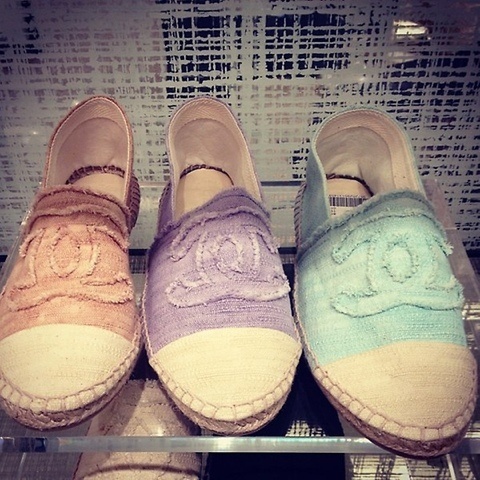 Chanel Espadrilles have to be the best creation ever, comfy, cool but also ridiculously chic. We've seen holiday souvenir espadrilles come and go in the past, but these beauties are definitely here to stay...beautiful is an understatement. You can't buy them on line but bag yours at your nearest Chanel store, for circa US$400. 6. 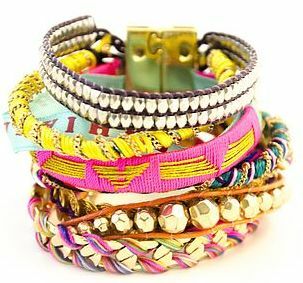 Hipanema Bracelets are the definition of cool! Brought to us by two French girls who met while backpacking in Brazil, these stunning pieces take inspiration from all the colours they saw on their travels. If you've ever despaired at your inability to stack your wrist, this is the answer to all your bracelet prayers! Brazilian glamour without the pain of putting each piece on every day - instead of tying on individual pieces, these bracelets are joined together by a super simple golden magnetic clasp! 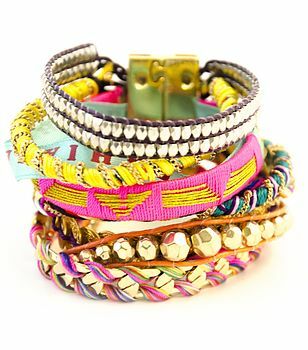 One hundred percent Ibiza chic guaranteed to add fun to any outfit! To fund all these I need to win a small fortune (and possible a trip to Paris and New York as they're not all available online), but I'll be an extra good Mouse if I can have just have one, pretty please...? !